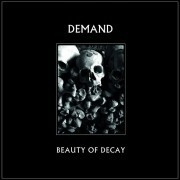 Demand is a reactivated Cold Wave, Post Punk Electronic, New Wave, EBM, Minimal Synth project from the 80s by Thomas P. Heckmann, a key figure of early and contemporary German Techno, EBM-Techno and Acid, Thomas P. Heckmann has shaped the landscape of electronic music since the very beginning! His huge success as DRAX LTD.II – AMPHETAMINE, KNARZ – TANZMASCHINE, SILENT BREED – SYNC IN, WELT IN SCHERBEN, AGE, EXIT 100 aso. set standards and beyond in the under- and overground!